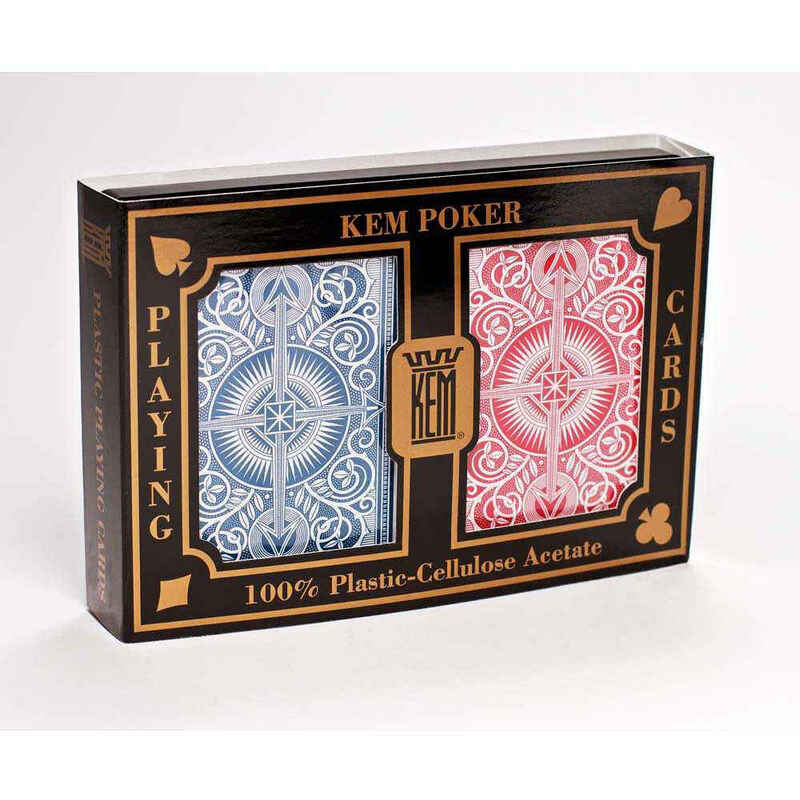 Kem Arrow Wide Jumbo Index Playing Cards Blue and Red Decks includes two decks of standard, Poker-sized cards, one a deep red and the other a midnight blue. The arrow pattern includes a scroll pattern with Kem's classic arrow pattern imbedded. The jumbo index means the pips are over-sized for easy reading.